Sports psychologist performance coaching and professional certification is available world wide by Dr. JoAnn Dahlkoetter. Here is a compelling story from one of my certification students, Jeff McMillan who is passionate about sports and making a living with it, getting sports performance results quickly with the Performing Edge coaching method. What to know how Olympians think and feel? I’ve worked closely with many of them. I can tell you their stories and how you can use this same type of thinking in everything you do. Have you ever been totally in sync with the activity you were performing? Have you ever had the sense that, for a single moment, you were in complete control of your destiny? You can Think Like an OLYMPIAN? Have you ever felt such an intense pleasure in an action that you could continue doing it all day just for the experience, regardless of the outcome? The activity could involve completing a personal goal in a workout, or doing a brilliant presentation at work, or spending quality time with someone you care about. These types of occurrences make up the essence of Your Performing Edge – those extraordinary moments when the mind and body are working together effortlessly leaving you feeling that something special has just taken place. This state of consciousness has a multitude of well-known labels: peak performance, optimal experience, flow, and being in the zone. However you wish to portray this frame of mind, these experiences are certain to be connected to the most treasured moments in your lifetime. Sports provide a variety of ways for athletes to experience optimal performance. People can feel this sense of control and power when they are winning a race, or setting a personal record, or just out on a morning run. Yet this special state escapes many athletes; it appears mystifying and unattainable to most people. Many individuals encounter this state by chance and find it difficult to replicate. Indeed athletes work very hard for many years just to re-visit that ultimate feeling. In contrast to the rest of life, athletics can offer a state of being that is so fulfilling one does it for no other reason than to be a part of it. These feelings are among the most intense, most remarkable ones we can obtain in this life. Once achieved, these optimal experiences remain engraved in the mind and supply the means to return to this state. My studies and interviews with a wide variety of athletes over several years have established the framework for a better understanding of the performing edge state. Through this research, I have found several behavior patterns and attitudes that are clearly linked to the creation of this state. While achieving an optimal state of mind is not easy, this article describes how this ideal state can be achieved more often and identifies the conditions that allow it to occur. What do athletes report during an optimal experience? This is a state of consciousness where a person becomes completely absorbed in the task at hand, to the exclusion of all other outside influences. You are totally focused on the present moment – the everyday world seems to recede into the background. During the peak experience you feel more self-assured, and more fully integrated. Your mind, body, and spirit are tuned in to the moment. These are the times when you feel most energetic and fully alive. Claim your FREE Instant Access to YOUR PERFORMING EDGE Private Mentoring Program! Click on the CD’s to get your Private Mentoring! 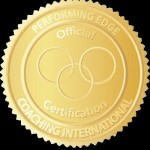 How do you Coach your Clients to a Performing Edge? In your path to a Gold Medal Mindset for Success, mental preparation can do for the mind what stretching does for the body. It can make all the difference in how you and your clients experience your workouts and racing regardless of your fitness level or sport. Yet it is a skill that even the most conditioned athletes fail to practice sufficiently. Just like we work out our bodies, we need to exercise the brain. Mental training is like taking your brain to the gym. We want our bodies to have many different gears and speeds. We also need the mind to flexible, to shift into different gears, depending on the task at hand. 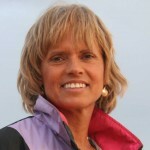 About the Author: Sports psychology expert, Dr. JoAnn Dahlkoetter is a peak performance coach, best-selling author of YOUR PERFORMING EDGE, STANFORD Performance Consultant, sports psychologist to OLYMPIC Gold Medalists and CEOs, winner of the San Francisco Marathon and 2nd in the World Championship Hawaii Ironman Triathlon. She is an internationally recognized Keynote Speaker, columnist, and frequent TV expert commentator on NBC, ABC, and BBC networks.